Nothing is constant in this world. Everything changes along with time and so is the taste-of-choice of the human being. This becomes evident when we see someone’s house. This doesn’t need any explanation that the house owners in Oshawa, Toronto, Richmond Hill, Vaughan, Thornhill, Hamilton, Ajax etc. appreciate the service of home renovation very much. This has led to the emergence of so many renovation service providing organizations in these cities. 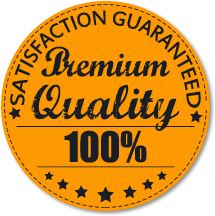 But when it comes to providing credible and quality service at affordable price, the name of Basementbro appears amongst the top ones. We take the pride to announce that we’ve been providing the service of basement renovation Thornhill along with other remodeling services as well, for more than thirteen years at a row. Our service is extended in almost all the major parts in Canada and you can expect to have the best quality job from any corner of this country. We have been able to maintain a magical level of workmanship throughout the years and that has established the trust among our customers. It is needless to say that we have an excellent team of experts, technicians, engineers and other workers who are very sincere and dedicated and always striving for delivering the best result to you. Basement renovation or remodeling any part of the house requires professional approach to the work and it is not a DIY (Do It Yourself) job! The task needs lots of expertise as well that we have in our technicians and architects. They are capable of turning your design into reality if they are physically possible. Moreover, at Basement Bro you can rest assured about reliable and affordable makeover of your basement so that it can impact impressively on the entire house. All our technicians possess a massive architectural experience that has enriched them with all the probable outcomes of a project and this in turn offers you a successful accomplishment of your basement renovation Oshawa. We provide our clients with a digital planning of the project right before starting the work and once everything is finalized, we put our best effort into work and try to complete the task within two weeks (this timing varies depending upon the project). In most cases, it is the wall that gets damaged first and we pull out all the damps and stains. Then it is the turn of fresh new paints. We offer the flexibility to choose the color as per your preference as well so that you can emphasize the ambiance of the basement as per your wish. Furthermore, if you are not planning for a complete basement renovation Ajax, you can ask for our assistance as well for professional repair work of that place. Budget has always been a great concern for such renovation work and we have our team of experts to help you with the finance. There are different alternatives available for interest rates and monthly payments and you can opt for your affordable plan. So, approaching Basement Bro for renovation or repair of basement would be a wise decision in terms of investment and in terms of quality of work as well.